Dry eyes can be not only uncomfortable and irritating, but they can also be unhealthy. 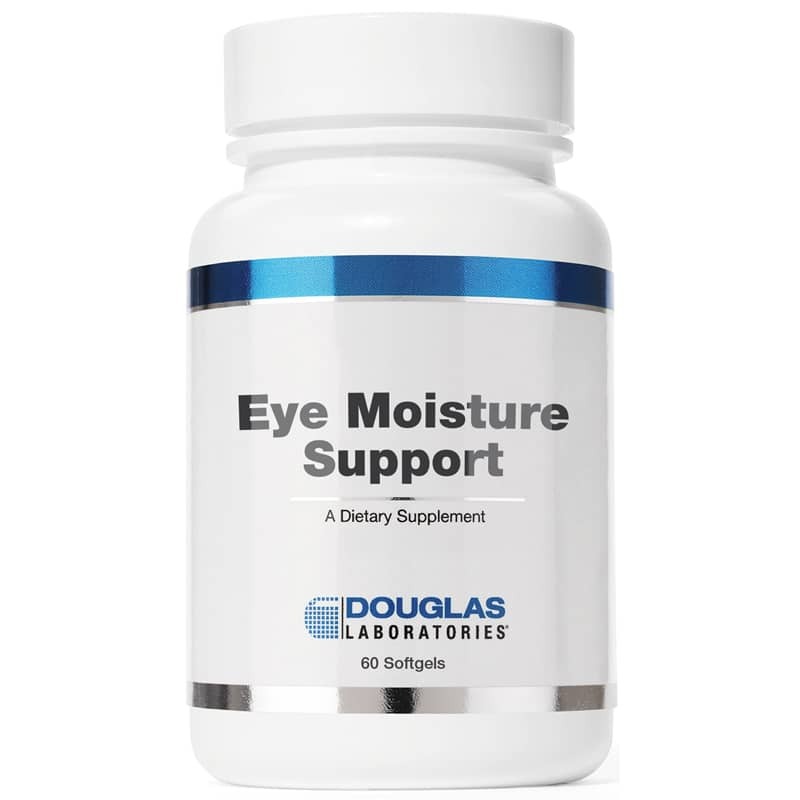 Help maintain healthy, moisturized eyes with Eye Moisture Support from Douglas Laboratories. 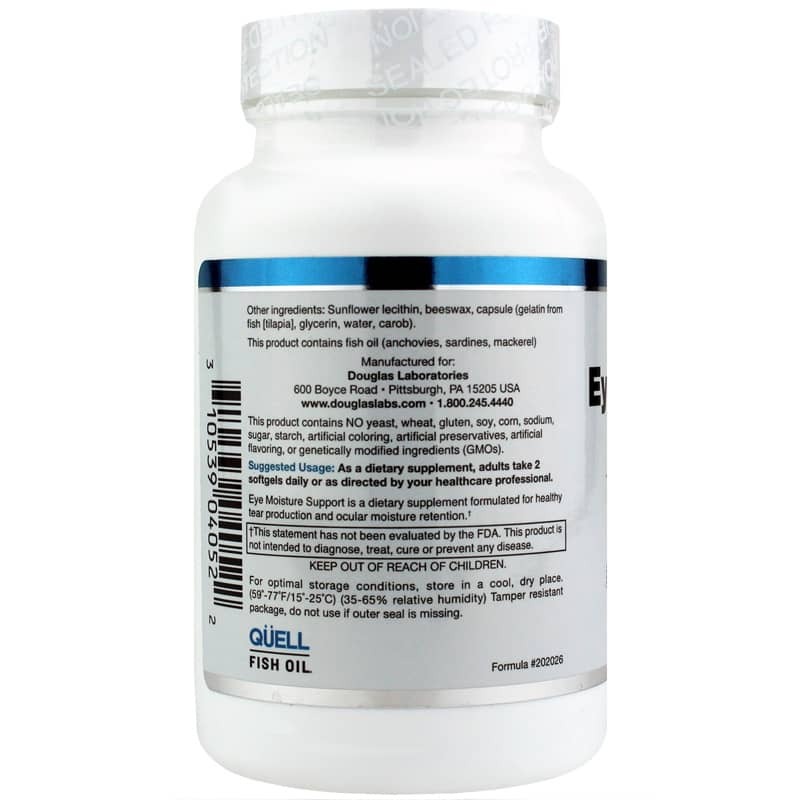 This unique supplement is intended to support healthy production of tears and moisture in the eyes through nutritional support from fish oil, borage seed oil, Astaxanthin and more. The key to Eye Moisture Support's supportive qualities is its blend of omega-3 fatty acids. 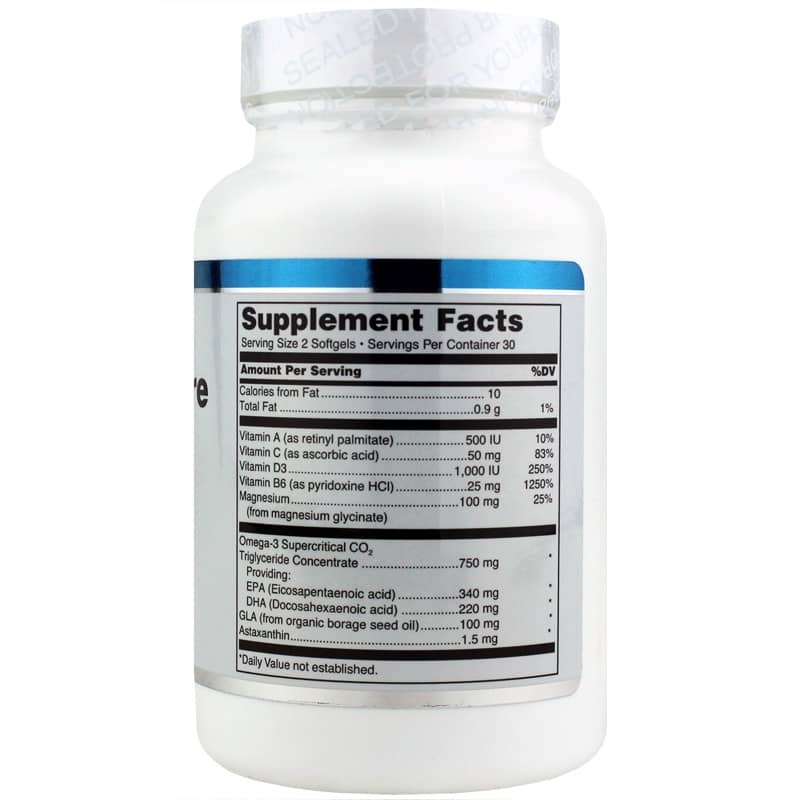 It contains 750 mg Omega-3 Supercritical CO2 Triglyceride Concentrate, which includes 340 mg EPA and 220 mg DHA from fish oil, as well as 220 mg GLA from organic borage seed oil. Eye Moisture Support uses QUELL Fish Oil Supercritical CO2 extracted EPA and DHA for optimal purity and absorption. Additional support comes from the carotenoid Astaxanthin, which helps to maintain normal systemic regulatory processes for healthy eyes. Plus with 500 IU vitamin A, 50 mg vitamin C, 1000 IU vitamin D3 and vitamin B6 and magnesium, your eyes also get essential basic nutritional support. Help keep eyes moist and healthy. Order Eye Moisture Support today. Other Ingredients: Sunflower lecithin, beeswax, capsule (gelatin from fish [tilapia], glycerin, water, carob). This product contains fish oil (anchovies, sardines, mackerel). Contains NO: yeast, wheat, gluten, soy, corn, sodium, sugar, starch, artificial coloring, artificial preservatives, artificial flavoring, or genetically modified ingredients (GMOs). Adults: As a dietary supplement, adults take 2 softgels daily or as directed by your healthcare professional.